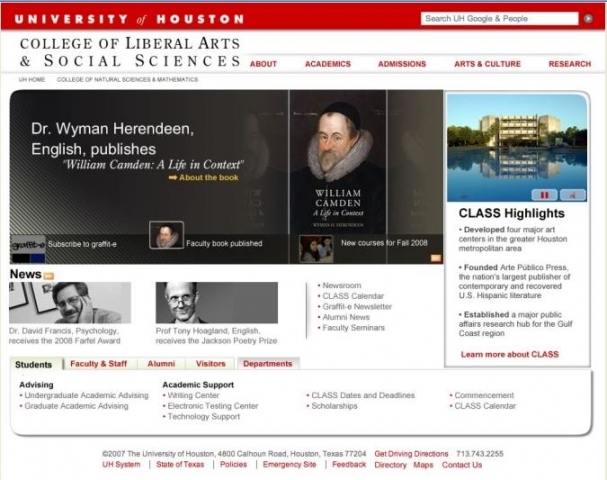 I spent some time consulting on web strategy at the University of Houston. The university was having trouble wrangling in the departmental college sites (i.e. English department) to be consistent. I worked with the IT department to create three templates the colleges could select from depending on the amount of content they had to house and display.